Daikichi Komusubi is a character from the anime Eyeshield 21. 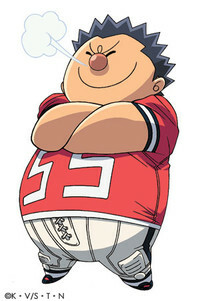 Komusubi is one of the linemen of the Deimon Devil Bats. Though Daikichi is not very fast nor tall, he makes up for it with his indomitable will and power. 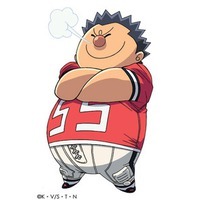 He decided to join the Devil Bats after highly impressed by Kurita's amazing strength and build, and decided that he wanted to become Kurita's "apprentice".